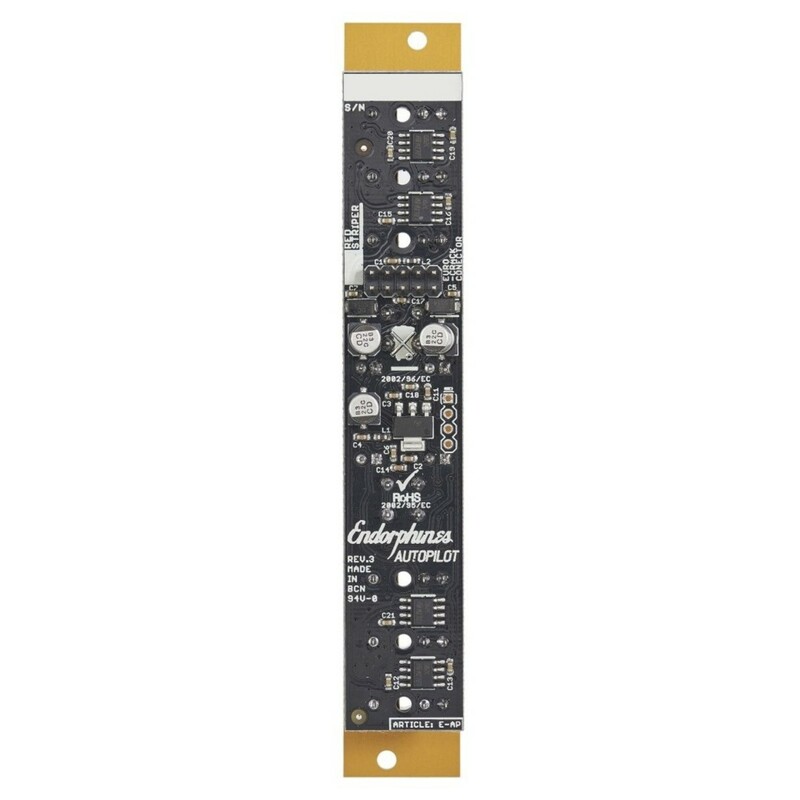 The Autopilot Eurorack module from Endrophin.Es is the perfect solution for tuning your VCOs with ease. It’s simple and easy to use interface features only essential controls for quick and easy tuning capabilities. 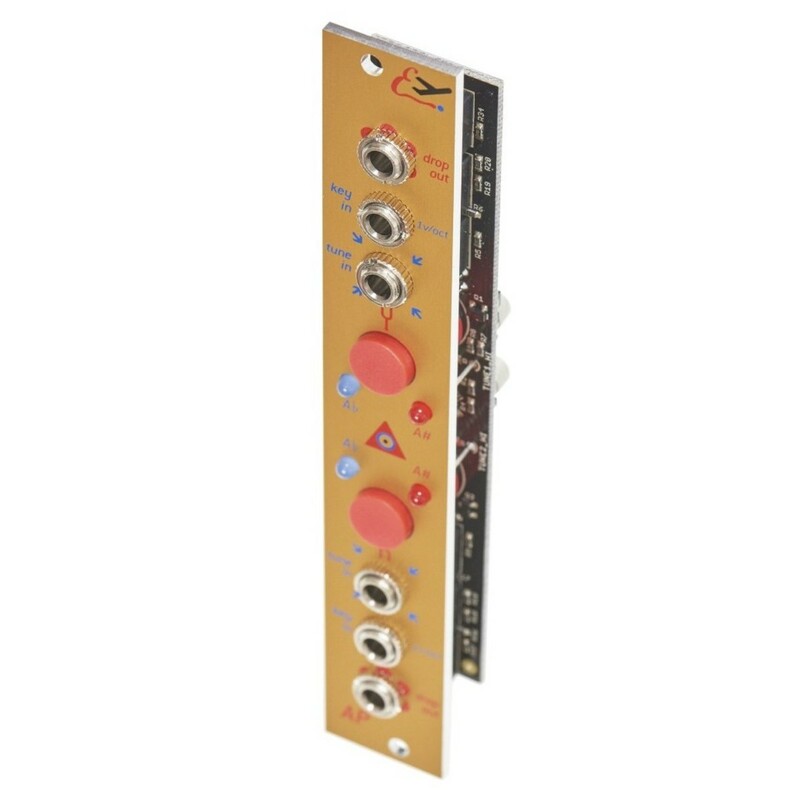 It features dual identical tuners for calibrating your oscillators to note A. It also features a range of patch points, accompanied by two large red buttons for easy control over your tuning. Pressing the button once, enables the tuning function to the nearest A note, while long-holding the button disables the tuning process. The advanced tuning algorithm provides dynamic rate response, allowing you to tune your oscillators instantaneously. One of the most unique features of the Autopilot is the alternative tuning scale. This scale ranges from 4-32Hz. 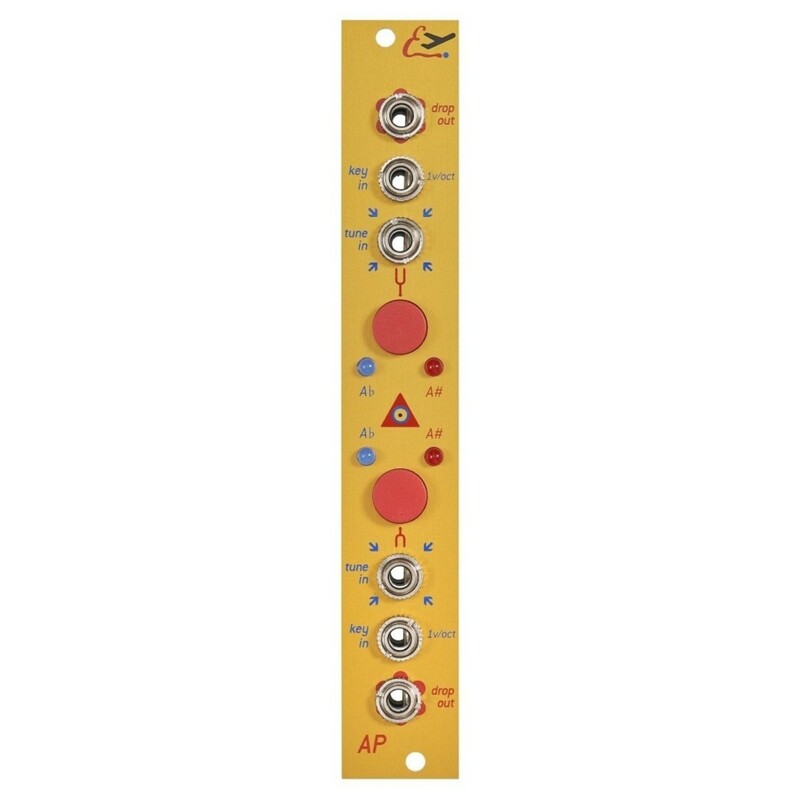 This alternative scale can be used for sound experimentation and sound design applications. The process for tuning your oscillator is simple, all you have to do is connect the Drop Out socket from the tuner to the 1v/octave input of the VCO. Once complete, you can patch the VCO’s waveform output to the Tune In connector of your selected tuner. You can also connect a sequencer or keyboard to the tuner’s Key In socket. Once you have connected the modules together, simply press the tuner’s button and wait for the results.